WHAT DO YOU MEAN YOU CANT FIND YOUR SHOES?! I YELL AT MY - ProudMummy.com the Web's Community for Mums. "WHAT DO YOU MEAN YOU CAN'T FIND YOUR SHOES?!" 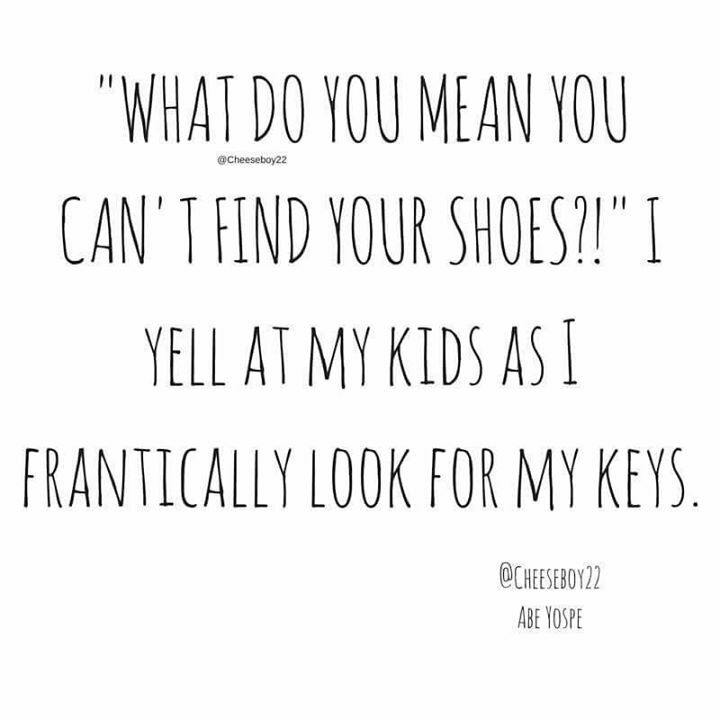 I YELL AT MY KIDS AS I FRANTICALLY LOOK FOR MY KEYS. Melissa Gillies 😂🙈 remind you of anyone ?